6 Natural Energy Boosting Drinks That Can Be Found in Your Kitchen! By admin Blog, Health & Nutrition Health & Nutrition, test1 Comments Off on 6 Natural Energy Boosting Drinks That Can Be Found in Your Kitchen! Sport and Energy drinks are all popular in Singapore due to the increasing number of sporting events being held in the city. But did you know that the best energy drinks are available abundantly in nature with no caffeine and other side effects? Blend together some spinach, kale, celery, cucumber and parsley. Add some ginger and lemon for flavor. Cool in down with some ice and gulp! Berries are known for their fibre and power giving abilities. A berry juice packs in a much larger amount than if you were to eat them. Mix them up, blend them together, squeeze in some lime and you’re set! Select your favourite whole spices such as cardamom, pepper, nutmeg or cloves. Add some or all to water on the stove. Add some ginger, honey and a slice of lemon to create a soothing and lifting spicy tea. Be careful with the quantity of each spice. If you undergo heavy cardio exercise often, bananas are your fruit. They are packed with energy that keeps you going and lifts your mood. Add in some wheat grass powder to make a lovely balanced smoothie. Wheat grass has antioxidants, vitamins and minerals making it a rich source of nutrients. Get the juice out of 5 carrots and one green apple. Mix the two and season with some parsley. 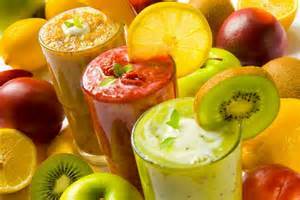 This juice will revitalize you and give you power. Plus your body will love you for it! If you are lucky enough to get fresh coconut water, this is the best drink you can have. It replenishes electrolytes and regulates the system. Right awareness along with Energia sleeping system will help you in improving the quality of your sleep and wake up fresh! It will improve your blood quality with a strong detox every night. Fill in the form below to get your FREE Blood Microscopy and Energy System Demo. Are Sleeping Pills the Best Solution for Insomnia? Why some Singaporeans prefer to skip Breakfast?